Vice president Chamodi Jayasari gives her speech during the ceremony. 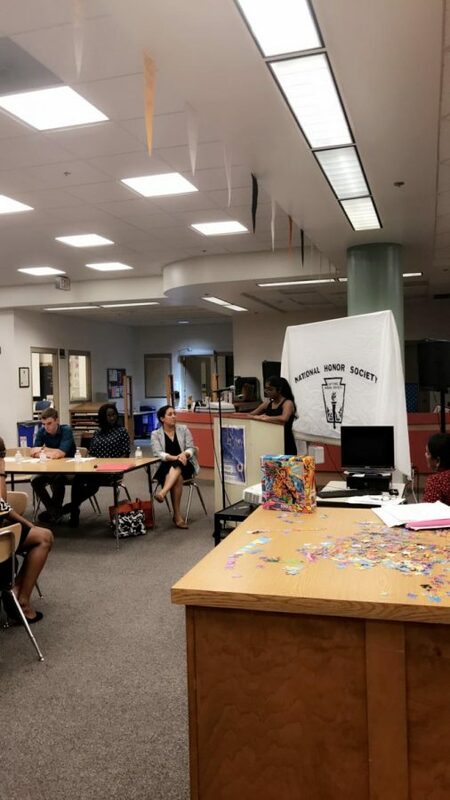 National Honor Society welcomed new members at the annual induction ceremony on Tuesday, October 3, where friends and families gathered to see them become a part of the legacy. 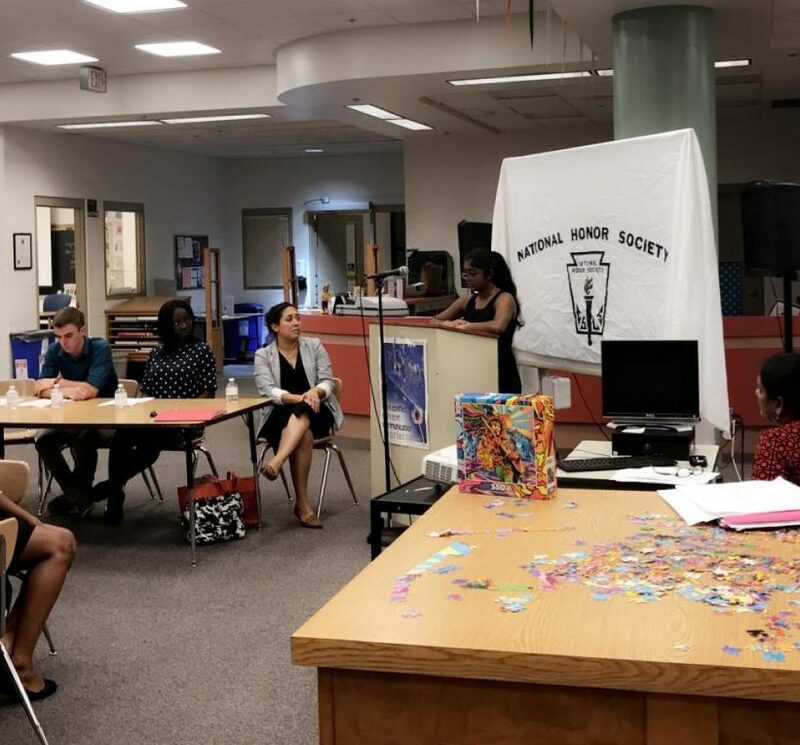 NHS is an elite nationwide organization for high school students that have astounding grades, as well as at least 75 student service learning hours. The Watkins Mill chapter currently has 60 members. Speeches were given by board members, sponsor Anita Rajeev, and assistant principal Jennifer Bado-Aleman. They explained what NHS is and how it is going to make a difference in the community. During the ceremony, inductees took the pledge and waited for their names to be called out to receive their certificates. Students were welcomed to enjoy refreshments after the ceremony. NHS secretary Zachary Pepperl gave insight on the things they do to benefit the community. “We do a lot of service and tutoring for other students, along with service for fundraising and charity work,” Pepperl said. Last school year, NHS partnered with the Minority Scholars Program to tutor students at Montgomery Village Middle School. This year they will be reaching out to include Neelsville Middle School. 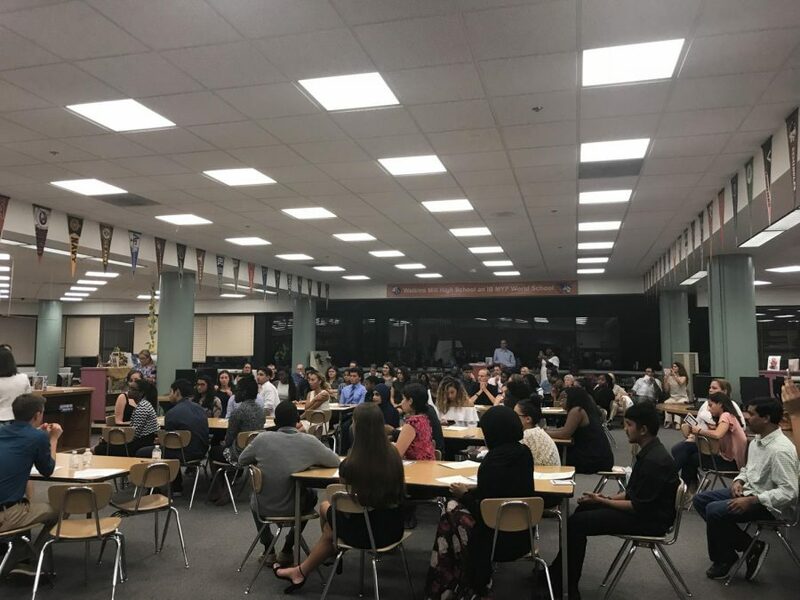 If you want to be a part of the NHS, make sure to listen to announcements during the spring, and if you have more questions, be sure to see Rajeev in room D208. Inductees receiving their certificate as new members.